Dustin has been competing in the King of the Hammers event since 2009 as well as the Ultra4 Series, Dirt Riot, and BITD. He also competes in the Baja1000 as driver in a Class 7 Ranger. 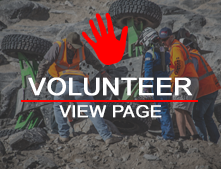 Dustin is the owner of Sexton Offroad, and he is a retired Gunnery Sergeant in the United States Marine Corps, and he currently serves as Captain with the Park City Fire Department.